Forza Motorsport - Bathurst is Coming! One of the world’s most heralded racing circuits is coming to Forza Motorsport 5 -- Bathurst! Since its opening in 1938, the Mount Panorama Circuit at Bathurst has become a fan favorite, home to countless classic races. Anyone who has seen a race there knows that it’s unlike any other racing circuit. 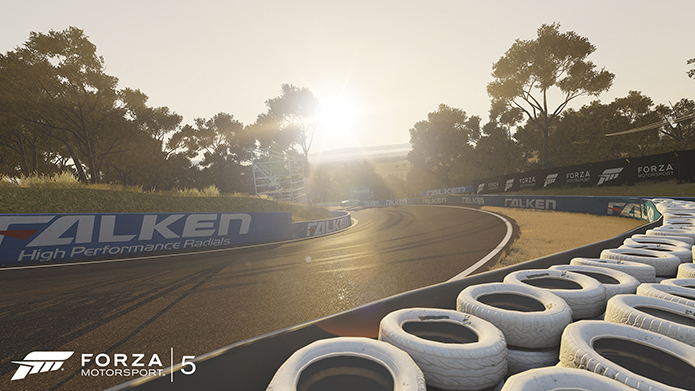 A long, narrow track winding up and around the huge elevation changes and scenic vistas of Mount Panorama, Bathurst is a wholly unique racing challenge and now Forza fans will have their chance to experience this amazing circuit at a level of detail they’ve never been able to before: in Forza Motorsport 5 on Xbox One! Dan Greenawalt, Creative Director at Turn 10 said, “Bathurst holds a special place in motorsports history as one of the most demanding and challenging circuits in the world. The timing couldn’t be better to finally bring Bathurst to the Forza series; with Forza Motorsport 5, we’re able to bring the circuit to life in a way that nobody else can. The announcement of Bathurst coming to the Forza series is only the beginning of what we have in store for Aussies and Forza fans. 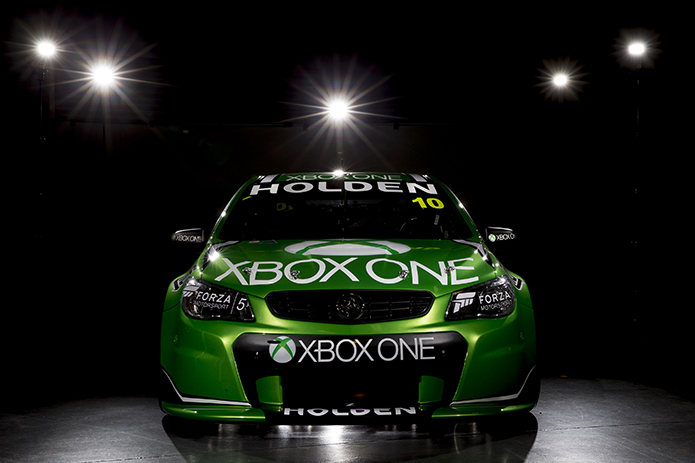 Today, Xbox Australia has announced that they have partnered with Triple Eight Race Engineering to enter the Xbox One Racing Team in the 2013 Supercheap Auto Bathurst 1000. 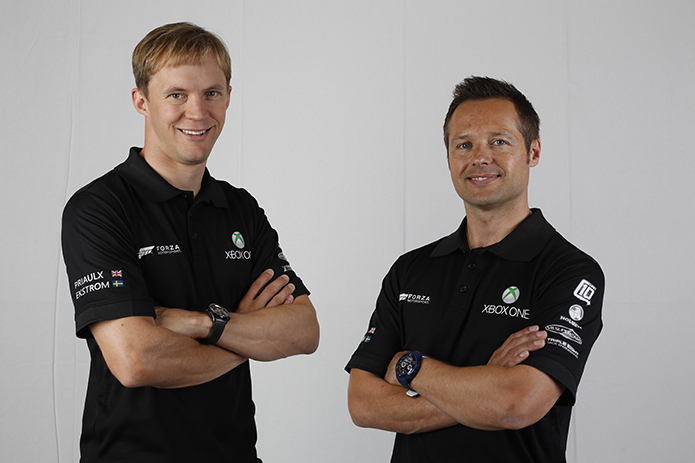 Driving the Xbox One car will be international champion race drivers Andy Priaulx and Mattias Ekström. The team will be boosted by the support of longtime Xbox ambassador and team mentor (and five-time winner of the V8 Supercar Championship Series) Mark Skaife, as well as the entire team at Triple Eight Race Engineering. 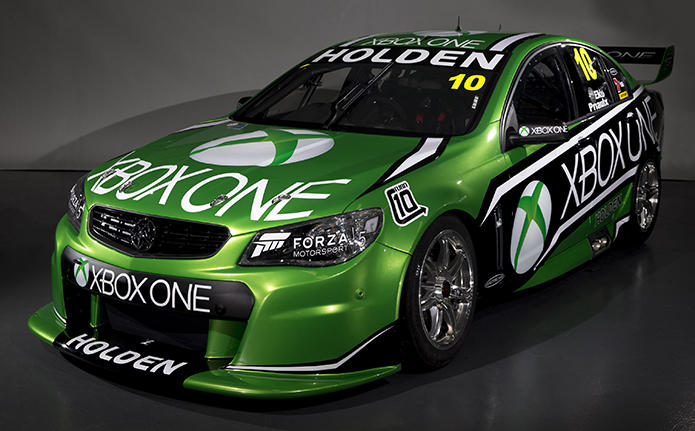 The Xbox One Racing car is the latest Holden VF Commodore and comes equipped with a 5.0-liter naturally aspirated V8 Holden engine, with an estimated output of 640 bhp and a top speed of nearly 300 kph. “The Bathurst 1000 is watched in 137 countries around the world and now, with the inclusion of the famous Bathurst track at Mount Panorama in Forza Motorsport 5, Australia’s place in the global racing circuit will be cemented in one of the highest rated racing game franchise in history,” said Skaife. Triple Eight Race Engineering team owner Roland Dane said, “There is no surprise that we love a challenge. When we heard this unique proposition from Xbox to turn everyone’s most-loved racing game into a reality on-track, we knew it was too good an opportunity to pass on. “Andy and Mattias are two of the best Touring Car racing drivers in the world today and I can promise Bathurst and V8 fans that this will be one team to watch come race day in October,” said Dane. Forza Motorsport 5 will launch exclusively for Xbox One on November 22. 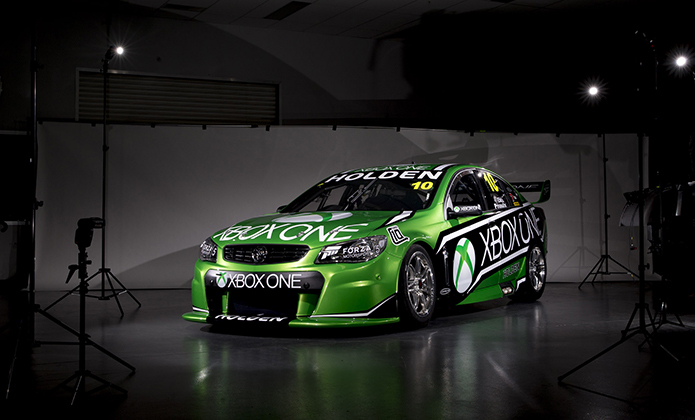 The 2013 Supercheap Auto Bathurst 1000 will be held on October 13, 2013; check out the shots of the Xbox One Racing Team car that will be running in the race below.